Rockstar developed GTA V online mode continues to grow and the latest huge update is further adventures in finance and felony. Here are the details you should know. Grand Theft Auto is a unique title which can attract even non-gamers into its exciting world. It’s close to life depiction is a big reason for its popularity among gamers. In the new expansion pack, which is easily the biggest one in the lot, players get to expand their crime syndicate in a whole new level. They can actually setup an enterprise and become the CEO. However, it is not a business or a product manufacturer but a criminal enterprise where all illegal activities are carried out in an orderly fashion. The first step to becoming a CEO is to hire a huge office and bring in a bunch of executives to assist you with your jobs. 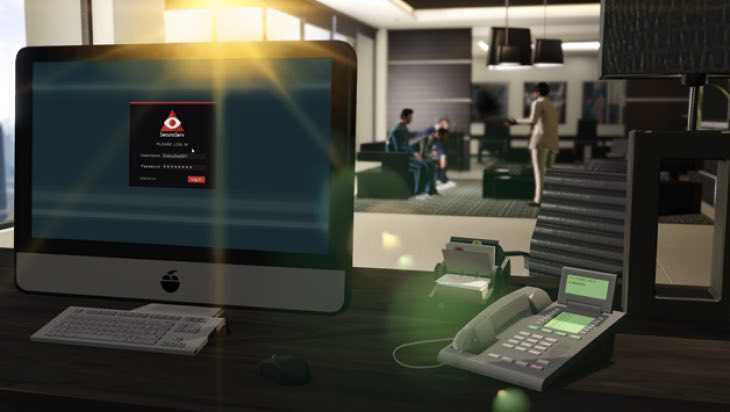 Deluxe offices designed for criminal establishments will be found in the online world of GTA V. Everything is professional about these premises which includes a boardroom, gun locker, storage space, arcade game room, helipad and individual cabins for the assistants. Players have the option to buy special cargo and store them in their locker room. However, setting up a huge criminal enterprise has its own drawback because the larger you grow, the notorious you become. Other gangs in the region will start noticing these activities and may choose to attack them. When they do so, you have to defend your warehouse with friendly players onboard. Jobs listed are headhunter where assassinating a target is top priority. Airfreight is a mission where the job is to help special cargo reach its destination. Haulage is delivering a trailer full of illegal goods to its respective owner. VIP challenges are also included in the GTA V finance and felony update. One of them is the Cashing out where a city wide ATM fraud has to be successfully carried out under your guidance. Salvage is another mission where you have to find and retrieve long lost cargo from the ocean. A bunch of screenshots were released by Rockstar that showcases the GTA 5 expansion pack in action. Apart from the missions, new vehicles, costumes and locations will be added to make it easy to run a criminal enterprise. A week full of bonus content is being distributed till June 13 so as to celebrate the launch. The pack is available on PS4, Xbox One and PC platforms.